This article covers the most common mistakes people make in their 30s. It covers managing debt, establishing saving patterns and appropriate insurance. Many people think that financial advice is only for the rich and famous. This article explains why this is not the case and focuses on the importance of having a strategy regardless of age, gender or circumstances. This article discusses the importance of having clear conversations about money in relationships. It uses a story to paint a scenario of two people with two entirely different money management styles. The article outlines four important points that should be addressed to help manage money issues early in relationships. This article refers to the results of the FPA’s “Living the Dream” report to explain what it takes to achieve this lifestyle and why seeking financial advice is a good start. We all, to a greater or lesser extent, have an idea of our dream lifestyle. So how, as a nation, are we faring? We all, to a greater or lesser extent, have an idea of our dream lifestyle. So how, as a nation, are we faring? To find out, the Financial Planning Association of Australia (FPA) commissioned a survey of more than 2,600 people from around the country. The resulting Live the Dream report provides an insight into the extent to which we are collectively living our dream life and, more importantly, reveals key habits and characteristics of those who are already doing so. Single women make up a growing demographic for many different reasons. This article addresses the unique challenges faced by single women and provides some practical suggestions using two case studies. This article focuses the reader on the relationship between money and happiness, instead of talking about the usual role financial planning takes, then connects the two. Although the concept applies to all ages, this article is probably more applicable to younger generations who might think financial planning is focused just on retirement. The short answer is ‘yes’, but only up to a point. People in richer countries are, collectively, happier than people in poor countries. Within countries, people with higher incomes are generally happier than people on low incomes. Surprisingly, once basic living needs are met, the amount of happiness gained from each additional dollar of income rapidly declines. It’s a well-documented fact that when it comes to money, women earn less; however there are other financial differences between the genders. This article discusses some key issues women face when it comes to money (income, super, insurance, living alone) and then focuses on retirement planning. It uses an example to calculate how the choices of a 35-year-old female professional can affect her retirement savings. This article explains how a cooling-off period works after signing a contract. It addresses property purchases, investment products and insurance. It recommends seeking good advice so that this option won’t be needed. Have you ever awoken the morning after signing a contract for something – a gym membership, a new phone plan, or a house – and thought “Oh, no! What have I done?” Well, it may not be the end of the world. If the contract contains a cooling-off period, you probably have a way out of it. Although memory-related illnesses are becoming more common and are a major factor in financial management, this article is also applicable for your readers who might just be too busy living life to remember to do everything they should. It has a handy checklist to make sure all the important things are addressed. There are many reasons why you might find it more difficult to manage your finances as you get older. On top of complex investment structures and a busy lifestyle you might find a normal, age-related decline in your memory creeping up on you. Or it may be a major illness or the onset of dementia that leaves you unable to take proper care of your financial affairs. To make life easier, both for you and your family, it’s crucial that you plan ahead. This article asks your readers of all ages what their dreams are and how seeking professional financial advice can help to achieve them. It is designed to explain the role of an adviser in a more inspirational way. Managing a divorce is difficult at any age but when it affects older couples, it can have different financial implications. This article identifies some of the financial issues and how to address them during this difficult time. With Australians marrying later in life and staying married for longer, the median age of divorce has risen over the last 20 years. It now stands at around ..... years for males and ..... years for females. Couples who remain together into their 50s experience a lower divorce rate than younger age groups, but even so this age group still represents around ...% of all permanent splits. Many young people in the X and Y Generations are earning excellent incomes but have little savings, excessive debt and consider the future too distant to be of concern. This article uses a case study to explain how young people can plan their futures without sacrificing their current lifestyles. After Kylie completed university and had landed a well-paying job, her only plan was to enjoy her new financial freedom. She had living to do – the future was a long way off and would take care of itself ... wouldn’t it? When changes to the law are proposed via the mass media, many people believe that the law is immediately in place. This article explains the process of amending the law in Australia. By educating your clients on how this works it will reduce panic (phone calls) when potential changes hit the headlines. When governments propose changes to laws, many people mistakenly believe that law is already in place. On the contrary, the path from proposal to law is not as straight-forward as you might think. When an unpopular or contentious bill is announced, perhaps because of the attention it receives from the media, everyday Australians are sometimes led to believe the declaration heralds a done deal, but this is usually far from the truth. Adult children living at home into their 20s and beyond often don’t seek financial advice until later in life and miss out on opportunities to start early. This article discusses how with a little professional guidance and planning, Gen Y members can maximise their opportunities to become more financially independent without impinging on their young lifestyles. It includes a case study to demonstrate. Still living at home? It might be an inexpensive lifestyle but if you’re not using this time to start planning your future, you’re not doing yourself any favours. According to the Australian Bureau of Statistics, in 2011 29% of people aged 18-34 were living at home because it’s cheaper; but statistics show that many were no better-off financially, with most in this age group having credit card debt and little, or no, savings. This article outlines a few practical tips to help single parents get on top of their financial situation. It explains that financial advice is not only for the wealthy and suggests advice is the best way to start. This article lists 9 sound tips that act as a good reminder for your readers in managing their money and encourages them to contact you if they need professional advice or a review. Life gets so busy and the months soon roll into years when suddenly you find that your finances are off track and you’re nowhere near achieving your goals. Instead of thinking it’s all too hard take a few moments to review the following tips. This article offers some good reminders for those who are getting closer to retirement. It covers goal setting, risk/return, superannuation, tax and encourages the reader to keep learning about their investments. As we approach retirement some people start to panic a little wondering if they are truly looking forward to the time of their life when they no longer have to work. All of a sudden something they have been pining for is becoming real! Instead of worrying, have a read of the following tips and if necessary, act now. After all, it’s your future – and it could be here sooner than you think. A slightly longer article that explains the role of a good financial planner. It's a good reminder to your readers of exactly what you do/can do for them. Some people may think that a financial adviser’s role is to forecast the direction of the share market from month to month and invest clients’ money accordingly. This is not the reality, of course. 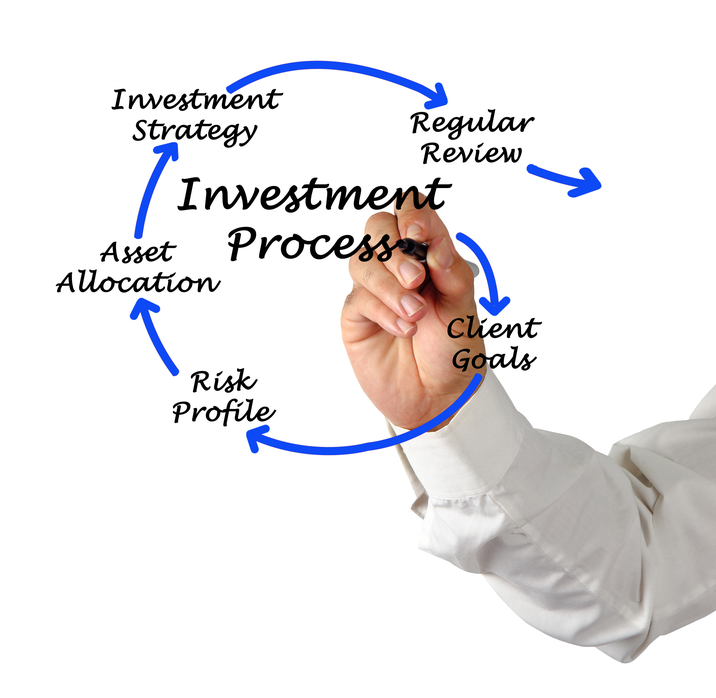 Investments are only one small part of what your financial adviser can provide for you. Some of the key areas that we may be able to assist you with are as follows. This is a short article covering a list of services that financial advisers provide and the associated benefits of professional financial advice. Financial planners are often the first port of call for people seeking advice on investing a lump sum of money. But that is just the tip of the iceberg. A professional financial adviser has the knowledge and skills to help you achieve your goals and objectives by tailoring strategies to address your specific needs. This article encourages your clients to review their financial goals. The original focus is on New Year but it can easily be adjusted to suit end of financial year or end of calendar year. Many people use the Christmas/New Year period to reflect on the year that has just passed, often in a blur, and begin thinking about the future and how to achieve their hopes and dreams. Similarly, the new financial year is a good opportunity to reconsider financial strategies and goals. Below is a simple guide to tidy up your finances for the year ahead. This article describes why having a good financial planner to rely on is important to reaching financial goals. It outlines 4 key steps of the planning process. Just as everyone should have a trusted health professional to rely on, so should everyone have a trusted financial planner. Professional financial advice isn’t just for the wealthy. Financial planning is about establishing a long-term strategy to secure your financial future with the lifestyle and living standards you desire, regardless of your starting point. ‘How can a financial planner help? Five case studies explain different aspects of financial planning including insurance, budgeting and tax management and how important they can be to people in their 30s. Whatever the goal, reaching age 30 is a turning point for many of us. Whilst it may mean life is getting more serious, by the time we’re in our 30s we’re keen to retain our individuality and remain determined to have fun. With a little planning you can make this age even more enjoyable. The following stories may inspire you to start now to build a stronger financial future. This article focuses on the important financial planning issues people need to address when they reach their sixth decade. It covers lifestyle, retirement planning, investment review, super and estate planning. For many people, the decade between ages 50 to 60 represents a time of significant change. Some changes may be welcome, while others may be more difficult to manage. Either way, it is as important as ever to plan your way through this time of greater freedom and opportunity but also of uncertainty. The following are financial planning issues common to those in their 50s.